When we find out that a friend or loved one has started to work out, or gone to a physical therapist, our response is usually not a disapproving, “Oh, you’re one of those people who has to go to the gym… sounds like things are pretty rough for you.” Nor is the response, “You had to get a personal trainer? You couldn’t take care of that on your own?” But, often these are the types of reactions that people get, or at least are deathly afraid of receiving, when they confide in someone that they recently started seeing a counselor. Now, I realize that people aren’t going to start taking selfies with their counselor, but I do believe that we, as a culture, need to start rethinking the purpose of therapy. Instead of it being an act of last resort to avoid psychological collapse, it would better serve us to think about therapy as healthy activity and counselors as personal trainers who are there to assist and encourage us along the way. If we saw therapy much more like working out, we would understand that the purpose is to grow stronger and live well. I am not the most disciplined soul when it comes to physical exertion; especially when running a counseling practice, doing home projects, and attempting to be a decent dad and husband take up so much time. (To be honest, I also know how to scroll through Instagram, read copious amounts of whatever I can get my hands on, listen to podcasts, and I know my way around Netflix too). But, about 3 months ago, this all changed, and I started regularly working out again. I would like to say that I gathered up my will and resolved to make a healthier lifestyle choice and just went out and did it. The truth of the matter is that I started to go to the gym because I couldn’t move my elbow or arm without immense pain and some of my normal movements were restricted. I also didn’t figure out how to heal myself. I went to a physical therapist for help. What I came to find out was that I had been overcompensating for a long time for a weak back by using my shoulders, arm, and elbow too much when I played sports, swam sometimes, and moved around in every day life. I remember when my physical therapist had me do my first pull down and told me to be aware of what muscles I was using to pull with. I noticed how much the muscles in my shoulder, arm, and elbow were engaged. She then had me try it again, but this time she told me to focus on my back muscles. She put her hand on the muscle I was supposed to use as I pulled down, and it was like a light went off. I was able to pull the weight through in a different way and it seemed to take away the pressure on my shoulders and arm. Over the last 17 years, hundreds of patients have sat down in their first session, and in so many words asked me to help “fix” them. But the purpose of good therapy is not to “fix” someone. The goal of good therapy is an awareness of self. So, in the same way that I needed help to become aware of how I was not using my back, we need help to see how what we’re doing is actually hurting us. we often need the help of another to become aware of the self-protective ways that we are hurting ourselves and the people around us. Awareness of self creates the opportunity for choosing something different. When my physical therapist made me aware of how I was using my shoulder and arm and not my back, I was able to try something new. If you are experiencing pain in the deep recesses of your heart, something might be off and having someone else gently and kindly mirror back to you what might be going on can make all the difference in learning how to do life differently. This process of becoming aware is often emotionally painful and difficult. There were a number of excruciatingly painful moments with my physical therapist as well, but in the end the relief from the chronic pain was well worth the effort. And, the beauty of therapy is that you do not have to do it all on your own – the counselor is there to be a kind guide along the way. If you’re ready to start your mental health work, please feel free to contact us. We’d love to walk alongside you. DO therapists go to their own therapy? Yep, at least, here at Phoenix Counseling Collective we do. In fact, many therapists do, and we aren't the only ones who think it's a good idea. We want you to know that there's no stigma for us about going to counseling or therapy. We do it ourselves because we see how it can benefit everyone! Here, we share with you some of the lessons we've learned in our own therapy. We've done individual therapy, couples therapy, and even family therapy. We have gained valuable lessons from it and wanted to share our experience with you. These ideas might sound familiar to you, or perhaps in your own therapy you've worked on something different- that's perfectly okay! Each experience with a therapist is different for every person. Lesson #1- The way I was raised and the environment I grew up in still impacts the way that I live my life today. I still have residual stuff that comes up. Therapy helps me recognize it when it shows up. It helps me accept it. Then it helps me choose how I want it to influence me. These things are going to influence me, it's not a question of "If" but "How." I get to work on the how part in therapy. Lesson #2- I've grasped some understanding about my own parts. We do parts work at the Collective, and I've learned that I put them on the shelf sometimes, so I've been getting to know them and their needs as well. Lesson #3- We all can use a safe space with no judgment. In my own therapy, I get a safe space to allow all the parts of me to process whatever is there. There's no judgment in therapy for me, which has been a lesson I needed to learn for myself. My therapist doesn't judge me or the parts of me, and it's helped me to accept all the parts of me as well. Lesson #5- Much of my personality is grown out of my childhood, family cycles, and act as coping mechanisms for self-preservation. It's okay to give myself some credit where credit is due. My actions make sense in context. Lesson #6- My wants and needs aren’t “too much.” They are valid. Knowing this gives me permission to look at how to get these needs met by myself and others. Lesson #7- I've gotten insight into the cycles of my relationships. I've learned to recognize my own patterns, and the patterns I create with the people in my life. Learning about these gives me the choice to change them. Lesson #8- I've practiced more coping skills. No single graduate program can teach you every skill or exercise. It's great to learn mindfulness, coping skills, how to slow down, say no, and improve communication from another clinician's perspective. Lesson #9 - I've learned better how my clients feel. My own counseling has given me more compassion and empathy for how my clients might experience sessions. I have to deal with my own anxiety and nervousness as I wait to enter into the counseling room. This gives me understanding on how my clients might experience their own anxiety as they sit in the counseling office. Lesson #10- I have determined to trust the therapeutic process. Sometimes I don’t know what exactly I want to talk about and that is okay. Sometimes I have a lot to talk about, but other times I just need a space to process less heavy stuff that is going on in my life. Not every session is meant to be "life transforming." Lesson #11- I realized that I need to feel a connection with my therapist. I have been in counseling where I didn’t feel like my therapist showed up on time, kept their word, and understood my unique struggle (most of the session was me showing up for them.) It is refreshing then to find another therapist who is competent and confident in their ability to help me and one that I can feel safe and connected with. Lesson #12- Change takes time...a long time. And usually that change looks different than anticipated. Lesson #13- Growth, freedom, and contentment are possible. Lesson #14- My mom always said "slow down and enjoy the journey." Her words never seemed to sink in, but during two different bouts of therapy (with different therapists) I came to better understand my desires & longings that drove me to keep seeking more and more. It was taking a look inside, tuning in to my self, my body, my stories, my own traumas that I was able to bring my unconscious motivations to the conscious where I could make more mindful choices of how to move about in my life. Ultimately, I learned the process of slowing down and enjoying the journey. Lesson #15- "Small" traumas have lasting effects. I have had a privileged, good, nice, happy upbringing, AND loneliness, harm, and trauma were still present. The idea of both/and helped with my ability to hold the ambivalence of the good and heartache of my childhood and adolescents. Lesson #16- Living and being present in our bodies is one of the most difficult and fulfilling ways to be. Lesson #17- I’m primarily a relational being. Without deep relationships, life loses a lot of meaning and worth. Lesson #18- Being “good enough” beats trying to run the rat race of being perfect. If you have interest in experiencing your own therapy and learning the lessons that are out there for you, please feel free to reach out to us. We'd love to walk alongside you in this journey. Life as an entrepreneur is hard. Research shows that entrepreneurs have much higher rates of mental health issues than the general population. 49 percent of entrepreneurs report having one or more mental health condition. This is 2.6 times higher than the general population. In fact, compared to the general population, entrepreneurs have 2 times the rate of depression, 3 times the rate of substance use, 6 times the rate of ADHD, and 11 times the rate of Bipolar Disorder. Freeman et. al collected and wrote about their findings in Small Business Economics: An Entrepreneurship Journal. The safest answer is that this is probably a reciprocal relationship, rather than a linear one. So, instead of A causing B, it is more likely that A impacts B, which then impacts A… and on and on. This is often the case with many issues that are studied. The cause isn't clear, but there is a definite connection between the two ideas. Despite the fact that the relationship between mental health issues and entrepreneurship is clear, few people are talking about it. Not only do business leaders and entrepreneurs struggle with more mental health issues, but the business community is virtually silent on issues of mental health. Sure, some business magazines and editorials discuss concepts of depression and anxiety (especially within the startup community) but more frequently these issues stay in the dark. This causes high performance leaders, such as CEOs and founders, to feel shame on top of the depression, anxiety, trauma that they already experience. It's important that we talk about these issues. Shame thrives in the darkness. So, to address these issues I wanted to interview a Chief Executive Officer (CEO) who is willing to open up about the struggles of this role. I wanted an honest conversation with these leaders. To start, I decided to sit down with John Herbold, who is the CEO of Brushfire Interactive, and ask him several questions. I focused on 6 questions that might start an honest conversation and one that might be helpful to other CEOs or high performance leaders. What are some of the emotional and mental struggles that a CEO faces? How does the pressure of starting and leading a company impact your family and friends? Since leaders often feel the pressure to hold it all together, often leading to loneliness, how do you stay authentically connected to your family and friends? What is one of your biggest mistakes as a CEO? What is one of your biggest successes as a CEO? What keeps you going when things get difficult? In other words, what is your “why”? What advice would you give to other CEOs? John had some insightful answers to these, and was honest about what he faces. I hope this can be a first step to start having more honest conversations in the business community. I plan to do more of these talks and/or videos in the future. What is hidden, can never be healed. As Maya Angelou states, “I did what I knew, but when I knew better I did better.” We have to talk about these difficult things if we are ever going to change them and provide support for this community. But there is more ground to cover, so we'll pick back up here with more general myths. We then share with your our perspective at the Phoenix Counseling Collective. We hope this clears up some more misconceptions and helps you feel more comfortable about coming to therapy. Myth #1 - Therapy is a quick fix. We want to be clear: Therapy is NOT a quick fix. Hopefully you've gleaned this understanding from the last blog post (if you haven't read it yet, you should really CLICK HERE.) Let's say you are 38 years old. That means it took 38 years to create the patterns and ways of responding to the world that you use. It may take a bit longer than 3 sessions to begin to unpack your tried and true methods of dealing with the world. It takes time to learn and create new ways to experience and react to events and relationships. You are re-wiring circuits in your body and your brain. It takes practice and time. You'd give yourself more than 3 lessons to learn to play the violin, right? Well learning how to change your way of living is at least as difficult as learning to play an instrument. Myth #2 - I will learn a formula to live a better life. People are more complex than computers. We can't just rewrite the coding to work more efficiently. We are humans, with stories, emotions, hopes, dreams, regrets, losses, joys, and traumas. We are learning to relate to ourselves, others, and the world around us. The purpose of therapy is first, to become connected with ourselves. Then, to live out the integration of ourselves in our environment. It is often a misconception that there is something wrong with us when we behave in ways we don't want to. It can feel as though if we could change the formula, we'd fix the problem. But our maladaptive behaviors and reactions to the world are actually attempts to avoid or smooth over relationships. The problem isn't the formula. It's that we're trying to use a formula to relate to people. Relationships and intimacy can be terrifying. By learning and growing in your ability to relate to self, others, and the world, these maladaptive behaviors and reactions fade away. Therapists have the most curious job in the world. You can tell us stories, sorrows, longings, fears, etc. that you have not told even your closest friends, family, or partner. Even early on in the therapeutic relationship, the therapist is privy to the deep inner workings of beautiful souls. We find it an honor to walk alongside brave men and women who want to live deeper, more authentic experiences of life. At the Phoenix Counseling Collective we are therapists who deeply care about the well-being of our clients. That's hardly detached. Some people assume that "professionals" will judge them, or assume that they are broken. Please understand this: you are NOT sitting across from someone who is perfect and has everything figured out. A therapist is human and imperfect, and is not surprised to hear what you have to share. We’ve heard it before, or likely experienced it ourselves. This gives us even more empathy and compassion. Myth #4- My therapist is going to get “weird” and try and be my best friend. While we genuinely care for our clients and see the process as deeply relational (as explained above), the therapeutic relationship is a very specific type of relationship with clear boundaries. We'll be open about that from the first session forward. Don't expect your therapist to share a lot of their personal life with you. Your therapist is present for you in the way that you need. If you have questions or need to know something about your therapist - feel free to ask. Be aware that while they might not divulge a ton of personal information, it is for your benefit. Therapy is a place for you to be you- and the therapist is able to allow you to be you by being your therapist- not your friend. We know that going to therapy for the first time can be scary, uncomfortable, or even awkward. We hope that by understanding what the therapeutic relationship is like it will make it a little easier on you. If you have any more questions or if we haven't covered something here that you are curious about, please feel free to Contact Us. The following are misconceptions about therapy, psychotherapy, and counseling. We've compiled some common myths (especially about the first session). We then share with you our perspective at the Phoenix Counseling Collective. We hope this clears some things up. Myth #1- I will solve my problems and this puzzle of life in the first session. Do NOT expect to put the entire puzzle together on day one. We often find that the first few sessions are like dumping the puzzle pieces out of the box. Having the pieces all around can often feel overwhelming and sometimes unsettling. The idea is that you are holding a LOT in your puzzle box (struggles, stories, relationships, etc.) and it takes awhile to begin to put the pieces together. It takes time to figure out what areas we want to dive into first. It takes reflection to see how things connect in your brain and your situation. You probably won't leave with answers right away. You likely won't experience dramatic mood shifts right away either. The therapeutic relationship takes time to build. It is in the building of that safe space and relationship that the "work" is being done. Myth #2- I will feel better after one session. Do not expect to feel an overwhelming sense of relief after a 50 minute session. While it is common to feel a sense of hopefulness and relief after an initial session, there can also be a sense of heaviness and discouragement. This can happen because you have brought to light the reality of the pain you are carrying. Sometimes it gets harder before it gets easier. (If you've ever been in physical therapy, it is a similar concept). Don't expect your counselor to jump right in solving your problems. We need to be able to get a clear picture of who you are and how you work before jumping in immediately with exercises or insight. Myth #3- I have to share everything I can in the first session! It takes time to build up trust, openness, and vulnerability. Do not expect to have to share everything within the first session. People usually feel like they have to get it all out in one go. But, we find it helpful when clients give themselves permission to take it slow. You can share what you feel most comfortable with first. Take the second session to continue sharing more as it comes up. Also, don't expect your therapist to know exactly what questions to ask. While you don't need to feel pressure to share everything, still share what's on your heart. Even if your therapist hasn't asked you a specific question you can speak candidly. If they haven't asked you about something that is important to you, for example, your faith, or a recent life transition, feel free to tell them! Let your therapist know that it is important to you that they know this. Therapists, although often intuitive, are not mind readers. Myth #4- The therapist is the expert and I am the patient. I will receive advice from my therapist. 2) tells the patient what malady they have. Instead, we prefer the collaborative approach. Our lens is that in the helping field, there should be a joint effort of two experts. The therapist may be an expert in the field of relationships, for example, but by collaborating with an expert on your life (this is you), we are able to achieve much more than either could on their own. The therapist's job to help you slow down. We help you connect with your own experience. We help you listen to the wisdom and knowledge that you already have inside. The therapist will mirror back to you the things that they see. You get to use that feedback in your process. It is through this joint effort that therapy happens. As a result, you are able to be more present with your internal self. You can then consciously make decisions out of your true nature. Don't expect your therapist to give advice - especially in the first session. Therapists hesitate to give advice especially early on because remember they need a lot of consultation and information from YOU. If you have specific questions that were not addressed in this post, or if this is the type of therapy that you are looking for, feel free to Contact Us. Oh, and by the way, if you were wondering... we don't use Freud's psychoanalytic style of having patients lay supine on a cold leather couch while he evaluated them. Our couches are generally warm and comfortable. While you're welcome to lay down if you want to, you can just sit and talk face to face. November is the month that many people begin to process how difficult and stressful the Holidays are. Particularly if they will be around family this year. They find that they become irritable, feel anxious inside, or even downright dread being home. There are many reasons why this can be the case. Homeostasis is "the tendency of a group to maintain its well worn patterns and to resist change." Many people (who seem to be well adjusted adults) go home and find themselves regressing to the roles of their youth. Sitting down at the table, Dad complains about what his kids have not accomplished. Then he jumps to talking about politics. Mom fills everyone's plate to the brim. Then she hints at how her oldest daughter needs to lose weight. The youngest child becomes the helpless baby sister who can't do anything right (even though she's a succesful laywer). The older brother hogs the remote like he's 16 years old again. The middle sister tries to keep the peace in the family by distracting everyone with baby photos. In your family, it may look different. The truth is this: no matter how far we get away from our families geographically, we find ourselves returning to the roles we played when we were kids. This truth when lived out can be quite stressful and anxiety provoking. Going back to homeostasis is not fun. So, how can we survive the Holidays with our family? There are a few strategies that can help us weather the dynamic of homeostasis. #1- Accept that homeostasis is inevitable. 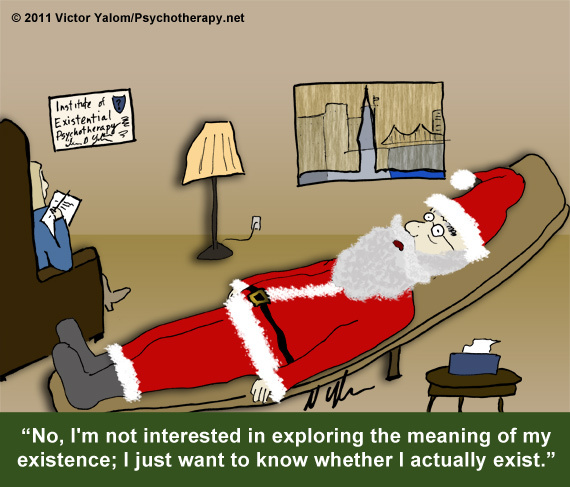 By expecting that it will be there, we can go into the Holidays with open eyes and be proactive versus reactive. You can be proactive about it by expecting it, and having a plan for when it happens. #3- Take breaks from your family. -Go outside and take a leisurely walk by yourself, or even with a family member you enjoy. -Take a nap here and there. -Take an hour away in a separate room and read. #4- Remember that you will leave your family and return to your own home at some point. Sometimes, it may feel like forever. But, the reality is that this holiday is a limited time, and you'll go back to your own home and your own routines soon. Remember what's waiting for you when you get home. You have friends and your therapist to process whatever happens. #5- Radically accept that you cannot change everything. Be mindful and aware of your humanity. Attempting to change a family pattern that was cultivated over decades in one weekend is too much. It is a heavy, impossible lift. While it is important to speak your experience when it seems safe- be sure to remember why you are speaking. If you are speaking truth to sustain your integrity, great! If you are speaking truth to overhaul how your family carries out its homeostasis, not great. If it helps- recite it when you wake up before you've engaged with anyone and again when you go to bed at night. When you are home with your family remember there are things you can change and things you can’t. In the end, you can’t change your family. Yet, you CAN make choices about how you will change your responses to the homeostasis of your family. The above ideas give you some alternatives to pick from. If the holidays are stressful for you and you want someone to talk with about it, feel free to Contact Us.